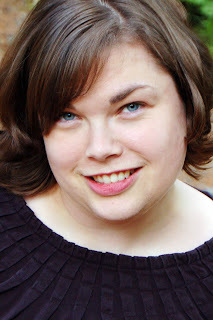 For this weeks member spotlight I chose Miss Rita. You can find her on the world wide web on her weblog Here's the Story and on the Studio Calico message board under the pseudonym rmoliverio. I chose Miss Rita from among the many wonderful Studio Calico members because I possess information about her that the rest of you ladies may not know. I know that she is a world class scraplifter! I know that Miss Rita scraplifts in different ways. Some days she will just take an idea from a layout she sees and make it her own, and other days she will copy most of the layout. Rita chooses not to upload her layouts that she copies exactly, but I was able to obtain a few of them as evidence. I will also share a few of her inspired by layouts and original pieces. What I love about Miss Rita is that not only is she an amazing artist in her own rite, but she also knows when to successfully use others ideas to quickly create some wonderful layouts with her own photos and journaling. My daily latte, cell phone and DVR. I'm cranky without my morning coffee and I can't remember the last time I watched a show live with commercials! For scrapping, it would be patterned paper, tiny alphas, and my exacto knife. 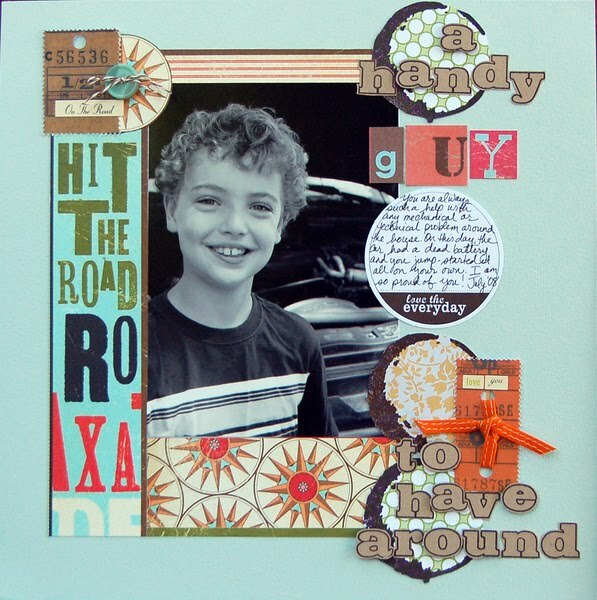 I love using my exacto knife to cut out bits from my favorite patterned papers to use as embellishments. 2. What are your thoughts on scraplifting? My approach to scraplifting has changed over the years. 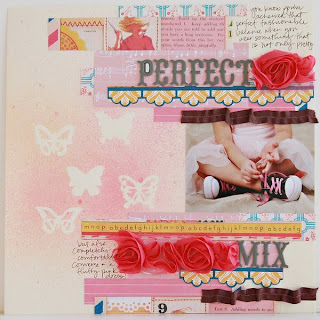 When I first started scrapbooking, almost all of my pages were lifted from a magazine or sketch book. It was a great way to try a lot of different techniques and styles without the fear of messing up. As I have become more immersed in this hobby, I have come to love the creative process as much as the finished product. There is something about pushing around the papers and embellishments on my desk and coming up with something I love on my own that just makes me happy. 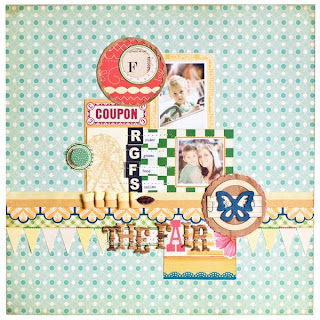 I know my creativity ebbs and flows, and scraplifting is a great way to get the creative process flowing when I'm in need of some inspiration. Sometimes it is just a little detail, and sometimes it is the whole layout. When I scrap at home, I am relaxed and it doesn't matter if it takes me one night or a whole week to feel like my page is complete. I tend to scraplift more when I'm scrapping away from home because I have this irrational fear of wasting my precious scrapping time, lol. I love knowing I can pull out my SC kit, my favorite DT layouts from the gallery and get to scrapping with my friends! That's a toss up between Whodunit and Baker's Dozen, for very different reasons. Whodunit got me excited to create again after the busy holiday season. It seemed like those layouts just fell together perfectly. I love the colors and patterns in that kit! For Baker's Dozen, it was all about the embellishments! 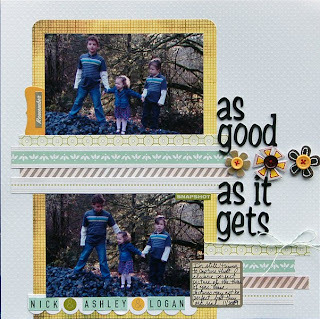 I loved the doilies and AC frames and made some of my very favorite layouts with that kit. I'm old school all the way and mainly listen to the radio. My DH got me a Zune two years ago for Christmas and it still has the original songs he downloaded on it, lol. Wouldn't that playlist make a great scrapbook page? Some of my favorites right now are One Republic and Kings of Leon. Watching whole seasons of TV shows on Netflix. I'm addicted to the instant streaming feature and am watching the old seasons of Bones right now, one of my favorite shows. I caught a few episodes that I missed the first time around. I just added Buffy the Vampire Slayer to my instant queue...should that embarrass me? 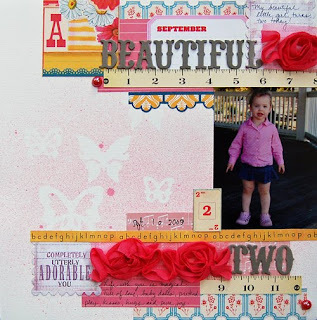 Rita used Jenn O's "perfect mix" for this gorgeous photo of her little sweetie. 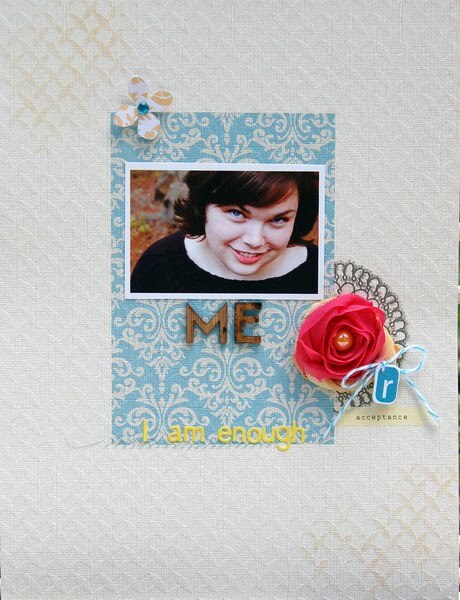 I love how she added a few pieces that personalized her work, but her basic layout replicates Jenn's design. 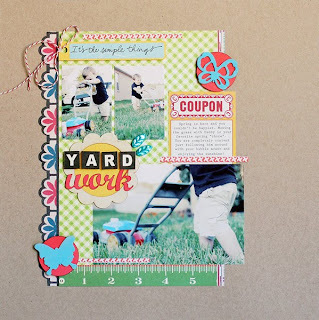 This layout is a CASE of Kelly N's "yard work." I love the addition of the Dear Lizzy chick that matched her title instead of a butterfly. 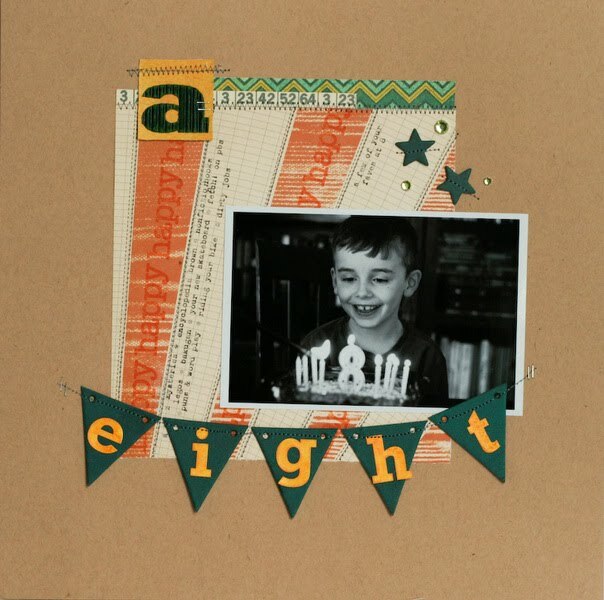 This layout "Preschool" was inspired by Lisa T's "eight" Rita liked how Lisa used the striped paper and recreated that feel on her own layout. 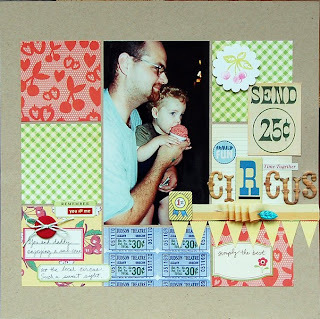 Rita used a few of the elements of Kimmithy's "The Fair" as inspiration in her "Circus" layout. She loves the way Kimmithy did her title, and felt like it went well with her theme. She also included several other elements from Kimmi's layout. When you look at the next to each other it is obvious that Rita was inspired by "The Fair," but "Circus" could also stand alone. These last two are some of my favorites from Rita's gallery at Studio Calico. 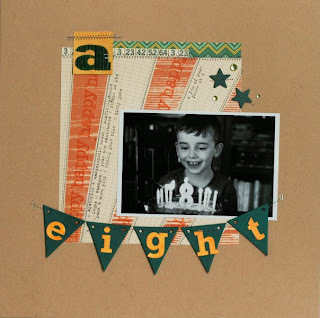 This layout was for some of the NSD challenges at Studio Calico. I LOVE the color scheme and the white space. The textured cardstock with the bit of inking is fabulous too. This last one has great colors too! 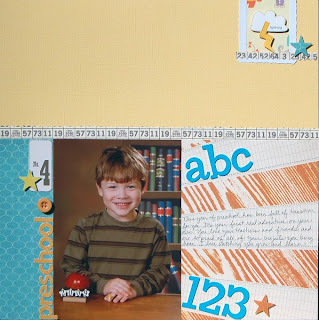 I love the cutie photo of her oldest son, and how she cut out the stamped letters for her title! Well, I hope you have enjoyed this short journey through Miss Rita's gallery. She has a LOT of layouts posted, so you should go and wander through her layouts. They are pretty awesome! great write up on a talented SCer. 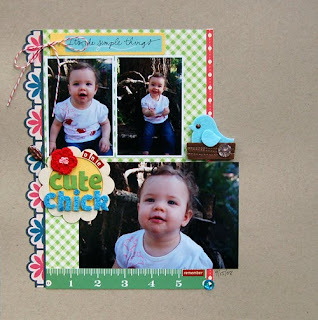 thanks for the introduction miss joy :) and thanks to rita for the peek at how you scraplift! Very well done Rita! Thank you Joy for sharing Rita's work with us... I have scraplifted Rita myself! So, scraplifters get scraplifted too! Miss Rita looks so much alike Milla Jojovich! Beautiful!